In March of 2010, I began my raised bed adventures by constructing and installing my very first raised bed. I blogged about the experience First Raised Bed. Drainage issues and a desire to add more and more roses to my growing collection spawned not one but eventually six raised beds in our garden. The original raised beds were approximately 3′ x 6′ and were made from pressure treated fence panels from my local home center. Over time, the beds began to deteriorate and my architectural skills being what they are, did not foresee issues such as the need to be structurally sound. My original redneck theory was, build a box, fill it with dirt, grow me some roses. Our son Tyler even helped me with construction. Last year, we had a permanent concrete border installed which eliminated three of the beds. This year, with the remaining beds deteriorating by the day, I decided to let them go and seek the advice and guidance of a professional. I first met Doc & Eric Hurt on Facebook. Their company Yard360/Landscape 360 specializes in custom built raised beds made of cedar. This really appealed to me. I love the look of cedar, they are beautiful as well as weather and rot resistant. The brothers Hurt came out about a month ago and walked the garden with us, were eager to learn about our garden and what we wanted to accomplish. I had the distinct impression that they were different from some of the others I had talked to. Most seemed bothered that I called, while Eric and Doc seemed genuinely interested in my garden and how the beds would be used. We drew out a plan that worked for us. They said that they would build the beds on site and install them the same day. Excited about the prospect of finally having the raised beds I have dreamed of, we asked them to partner with us in this raised bed revival. The word revival by definition means to renew that which is tired, fallen away, has become old and unusable. To restore that which has lost it zeal. These poor beds have seen better days. The team arrived early and went right to work. They measured again, walked the garden with us again to make sure that they had it right. It wasn’t long before they had the frames completed. They topped em off with a mitered cap. Built so strong, even this redneck can stand on them, they are a masterpiece of construction and stability. Glad to have these guys enter our lives at a time when our garden desperately needed a revival of structure and we needed a revival of spirit. We got both. GLORY! *Disclaimer: I paid full retail price for the raised beds and promised no promotional consideration. They were just that good. For six seasons, television viewers have been mesmerized by the masterwork of Julian Fellowes, creator of the Downton Series. This series takes place over a historic twelve year period in British History and has captivated audiences worldwide as each week the drama and intrigue of the life and struggles of the aristocratic Crawley family are played out in grand style. We were overjoyed to discover the news that Weeks Roses had partnered with the folks at Downton to create a collection of roses fit for the aristocracy. Anna Bates has certainly had her share of heartache on Downton Abbey, but through it all Anna always seems to see a ray of hope and a promise for the future. This beauty has been growing in my garden for two years and never ceases to amaze us with its unique coloration of roses and abundance of blooms. A keeper. Pretty Lady Rose Lady Rose Aldridge MacClare proved to be quite a handful on the show. Struggling to break free from an overbearing mother, Rose blazed new trails on Downton. Now safely married and settling into marital bliss, it’s no wonder we now have a rose named in her honor. Pretty Lady Rose is as beautiful as its namesake. Fragrant voluptuous blooms are a crowd pleaser to be sure. 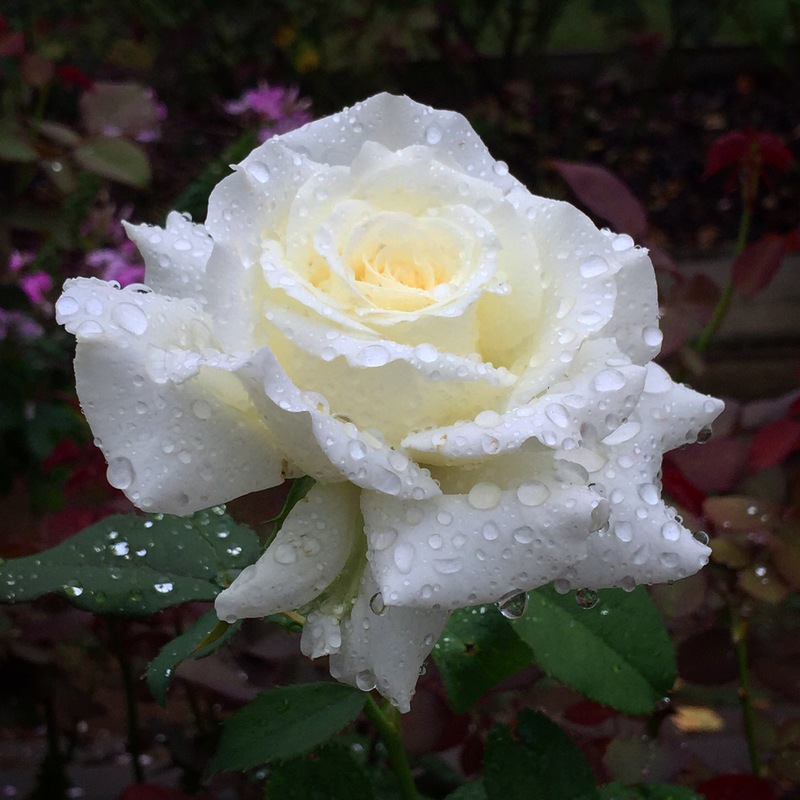 On our fall garden tour last year, everyone who stopped by had to put their nose in this rose. I try not to feel sorry for aristocrats who live in castles, have tailor made clothes, a staff to wait on them hand and foot not to mention a rose gardener, but I just can’t help feeling sorry for Edith Crawley. Unlucky in life and love (remember the old man who jilted her at the altar?) trouble just seems to follow her. Now a mother, Edith has finally found the unconditional love she’s always craved in her daughter, Marigold. This third rose in the Downton Collection of roses is true to form as an English style rose. Soft gold in color, it also has a wonderful fragrance. This rose is in limited release for 2016 and will be widely available in 2017. If I have a favorite character on this series it would have to be the Dowager Countess of Grantham, Lady Violet Crawley. Her quick wit and open candor makes for some of the most treasured moments in the series. My favorite episode of the entire series is the flower show at Downton. 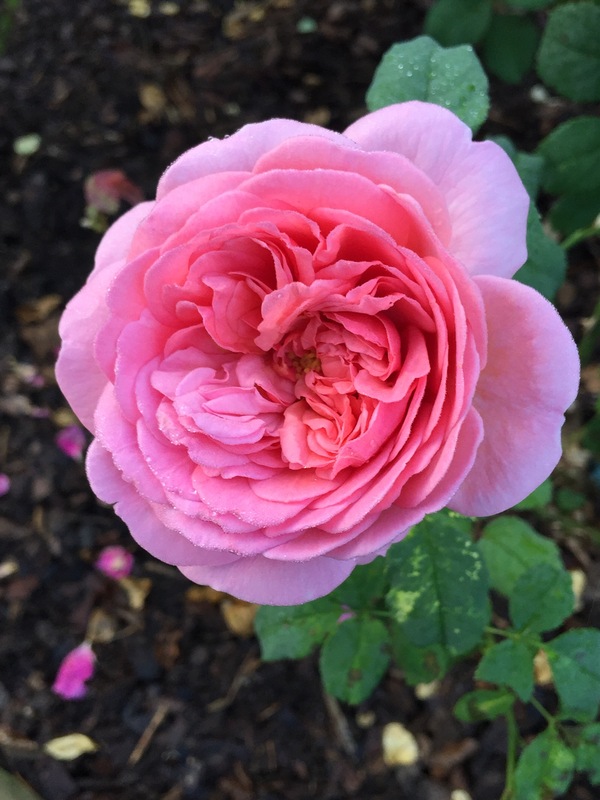 Though the Dowager has a trusty gardener to tend her roses, she takes great pride in her blooms. Especially at the Downton Flower Show. I love the color of this rose and it is said to have a spice and fruity fragrance. This rose is also in limited supply for 2016 and will be widely available in 2017. ENTER TO WIN – Through our partnership with Weeks Roses, one of the oldest and largest rose producers in the world we are proud to offer the entire collection of Downton Abbey roses to one lucky winner. Click on this LINK to enter. 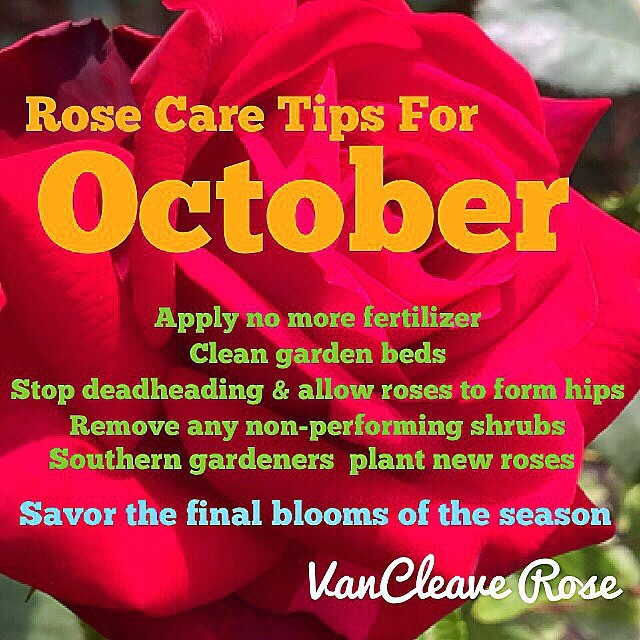 The lucky winner will receive four bare root roses directly from Weeks Roses shipped to you at your optimal planting time. If you have never watched Downton Abbey, I want to encourage you to watch the series. Click Downton Abbey on PBS to learn more from PBS. Millions will receive flowers on Valentine’s Day and will wonder “how do I extend the life of the blooms I received?” Here are my tips for getting the most out of your Valentine’s Day gift. Add two aspirins or a penny. Both act as an antibacterial agent and will help eliminate slimy/cloudy water in the vase. Cut off about 1/2 – 1 inch of the stems. The roses don’t care whether you cut straight across or on a slant. Just cut them. This cut opens a wound to allow the stems to be hydrated. As soon as you cut them plunge the stems into the mixture described above. I hope all your Valentine’s Day Dreams Comes True! Happy New Year to one and all! For centuries people have made resolutions at the New Year in the hopes of fulfilling a dream or completing a task. 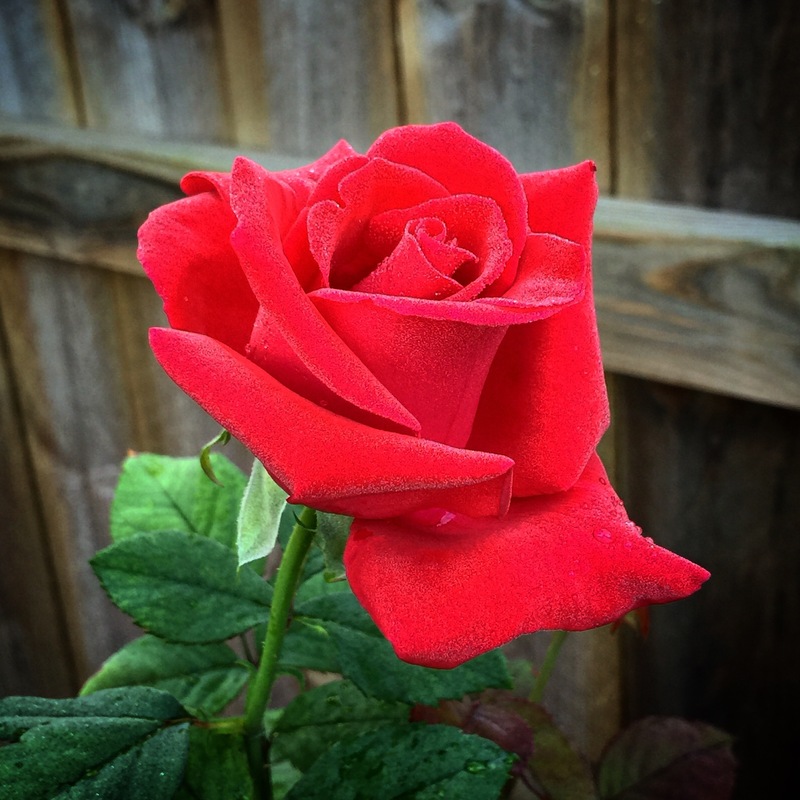 As a rose grower, I have prepared a list of “Rose Resolutions for 2016” that I think every rose grower can achieve. Whether a new introduction such as Weeks Roses ‘Neil Diamond’ hybrid tea or a rose that is new to you, why not try a new variety this year? Listed below are my top nine Instagram posts for 2015. Many are new intros and all have brought us a great deal of enjoyment. I cannot tell you how much knowledge I gained from our local Rose Society. The people there are friendly and are eager to share that they have learned. At meetings you’ll discover what roses do well in your area, advice on growing, showing and sharing your blooms. 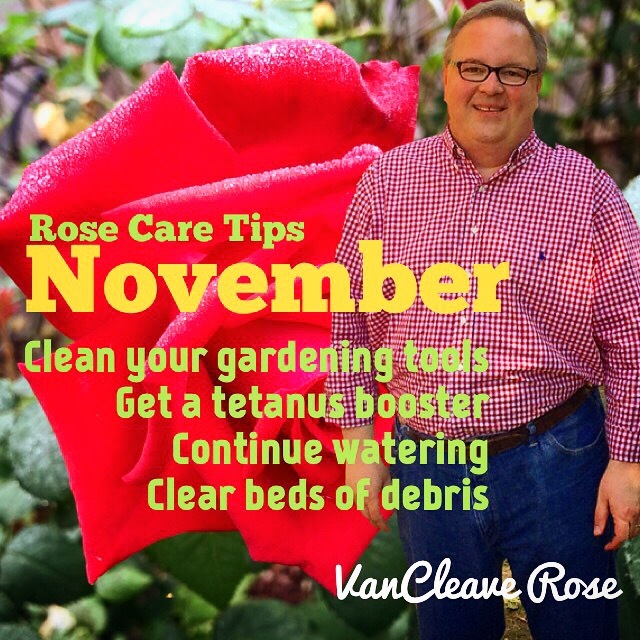 One of the greatest joys of growing roses is showing new rose growers just how easy it is to care for roses. Why not offer to help someone select and plant a rose this year? The simple act of cutting your blooms and sharing them with the world around you has multiple benefits. For you: a sense of pride in knowing that you created something beautiful for others to enjoy. For the recipient of your blooms: the joy of knowing you cared enough to share such beauty with them. If you grow roses, by all means, share them with the world. I can’t wait to see what 2016 has to offer, can you? It’s hard to believe that this year is winding down and that Christmas is truly upon us. We’ve been busy decorating, cooking, attending parties and trying to take in the sights and aroma of Christmas. 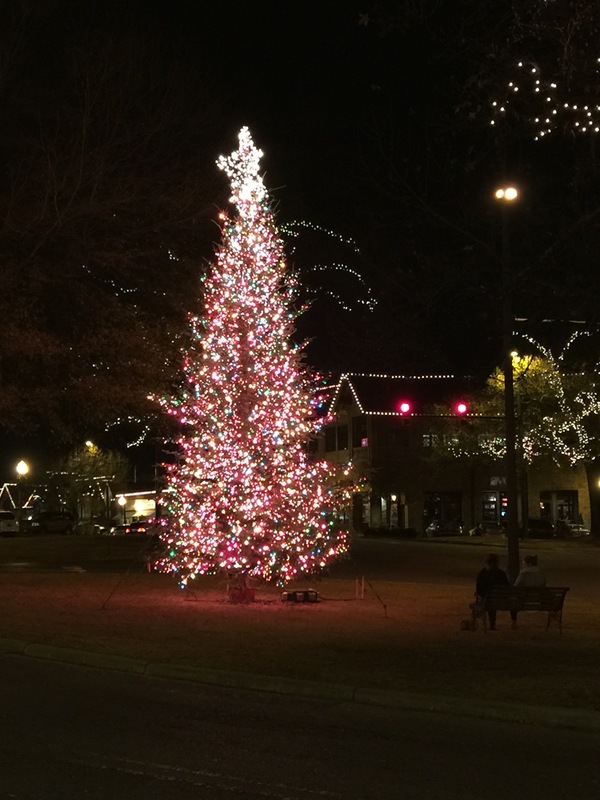 Here are a few ways we are keeping Christmas in our hearts this season. Don’t you just love fresh greenery? 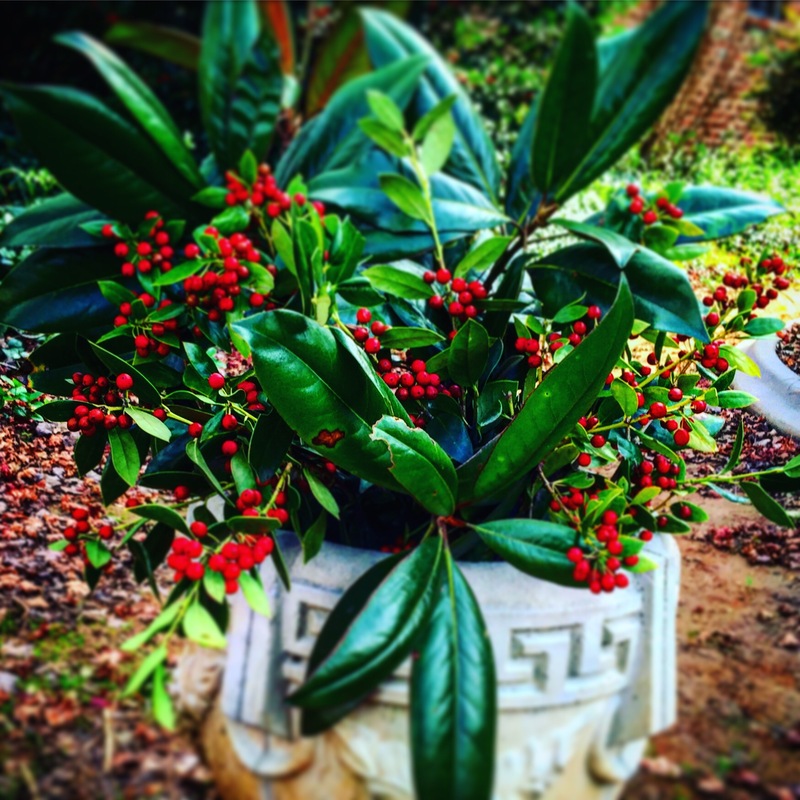 Simple cuttings of Holly and magnolia from the garden make a festive display in our outdoor planters. We are big candle lovers at our house and nothing says Christmas to my nose like a nostalgic blend of Cinnamon, orange and spice. Aromatique “The Smell of Christmas” is a wonderful way to capture the scent of Christmas in your home. 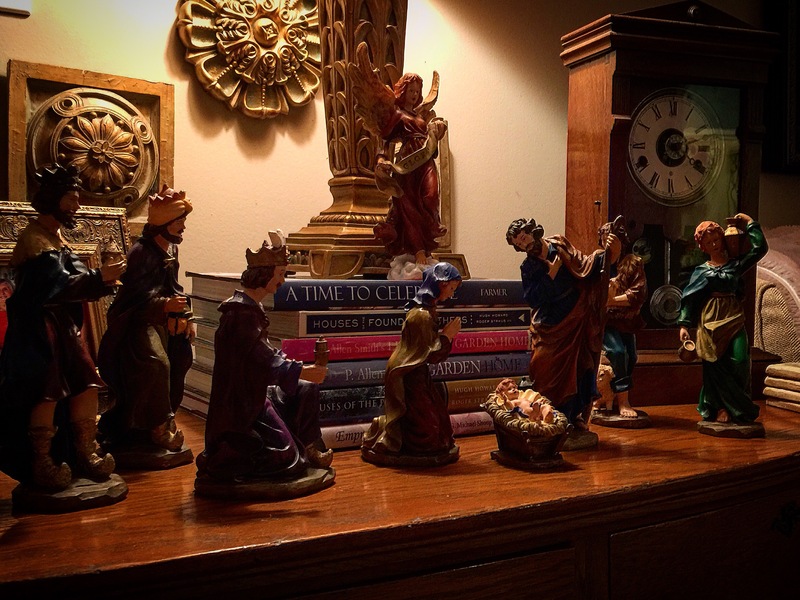 “Oh Come Let Us Adore Him” – Though biblical inaccurate, (the wise men came a few years after the birth of Christ) our nativity reminds me of the true meaning of the season. Our Christmas Tree and mantle – of all of the trappings of the season, unwrapping treasured ornaments collected by generations of my family evoke a sense of Christmas like nothing else. It’s as if for a moment, we are all together once again. The rose portrait that you see above the mantle was done for us by famed rose painter Michele Endersby. I love all types of cider. Both the drinking, mulling and smelling kinds. 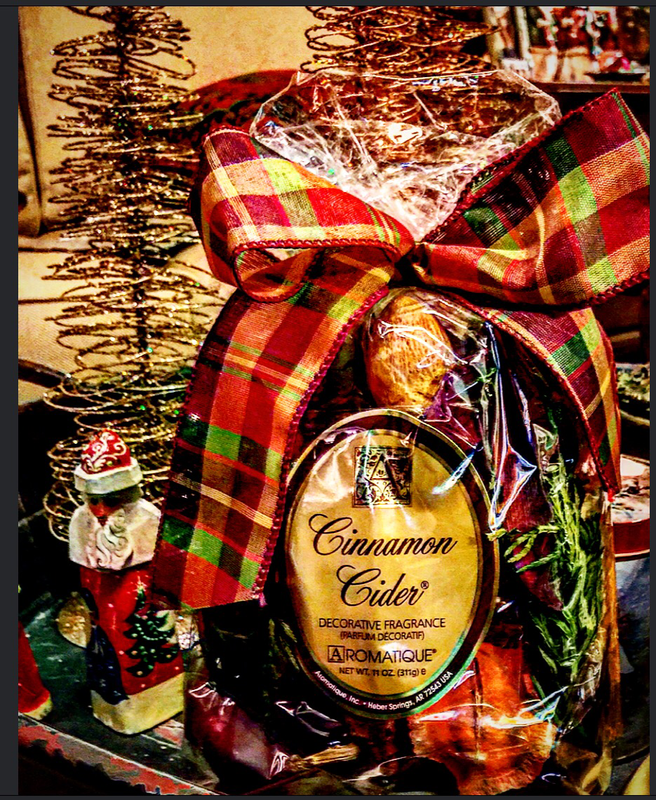 This Christmas we have enjoyed this blend from Aromtique “Cinnamon Cider” with cinnamon, apples, oranges and a wee hint of vanilla, it is also a gift we are sharing this year. If I don’t get a chance to see you this Christmas, let me take this opportunity to thank you for your presence in our lives. It means more to me than you’ll ever know. 2015 Holiday Gift Guide for Gardeners + a Giveaway! It’s that time once again when we deck the halls and make merry in the spirit of Christmas. For 2015 I have yet again assembled a list of gift ideas that are sure to be the delight of every gardener on your Christmas shopping list. This year, thanks to the generosity of the folks at Flexilla, I am glad to be able to offer as a giveaway finest garden hose on the market today. Through a partnership with garden designer and lifestyle expert P. Allen Smith, they have introduced the Watercolors collection. These beautiful hoses are lightweight and come in an assortment of designer colors, have a lifetime warranty, are drinking water safe and best of all, the don’t kink under pressure! I’ve been using these hoses in my own personal garden for two years now and I would not hesitate to recommend it to anyone. 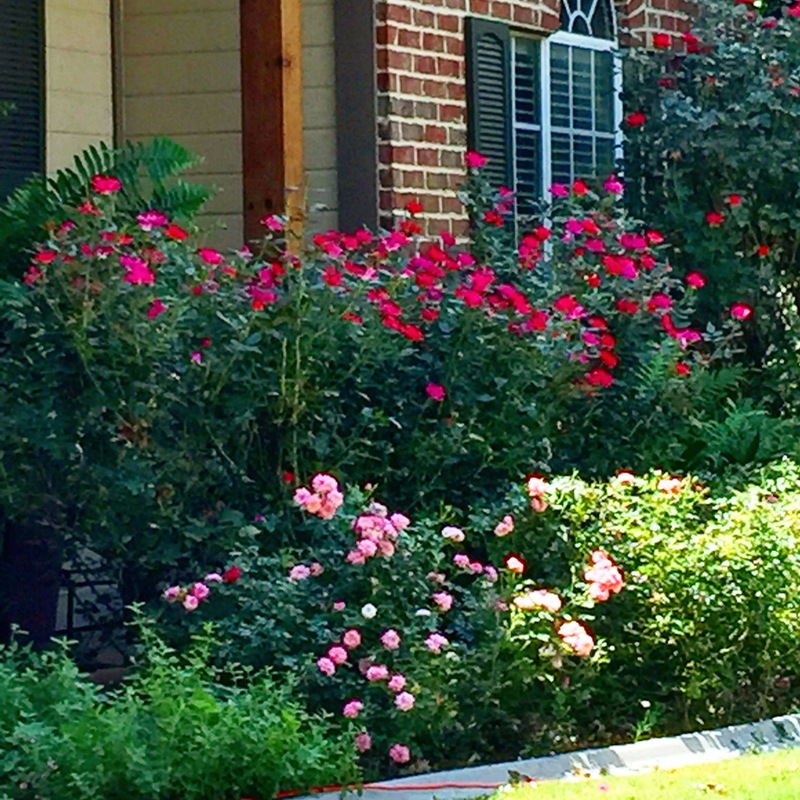 We have the classic Flexilla green that we use in the front garden and the sophisticated “crazy for cocoa” colored hose in the rose garden. Both have saved us countless hours of stress and aggravation as we hand water 150+ roses each week. TO WIN: Simply post a comment below of a favorite Christmas memory. I’ll announce the winner by Monday December 7th! Good Luck. Who doesn’t need help with weeding in the garden? This nifty little tool will help you speed through the chore of weeding in no time at all. Invented by a gardener just like you and me, this device fits on your finger and with its forked tip pierces the ground allow you to quickly loosen the soil and pluck those weeds out! A bargain at $4.99. This makes an excellent stocking stuffer. For someone like me who is constantly out in the garden lugging around a pickle bucket deadheading roses and removing debris from my garden beds, this is a dream come true. This garden bag attaches around your waist. It’s water resistant which a WIN is for me: nothing I put in the bag soaks through to my clothes. They are durable and will be around for many years of use. 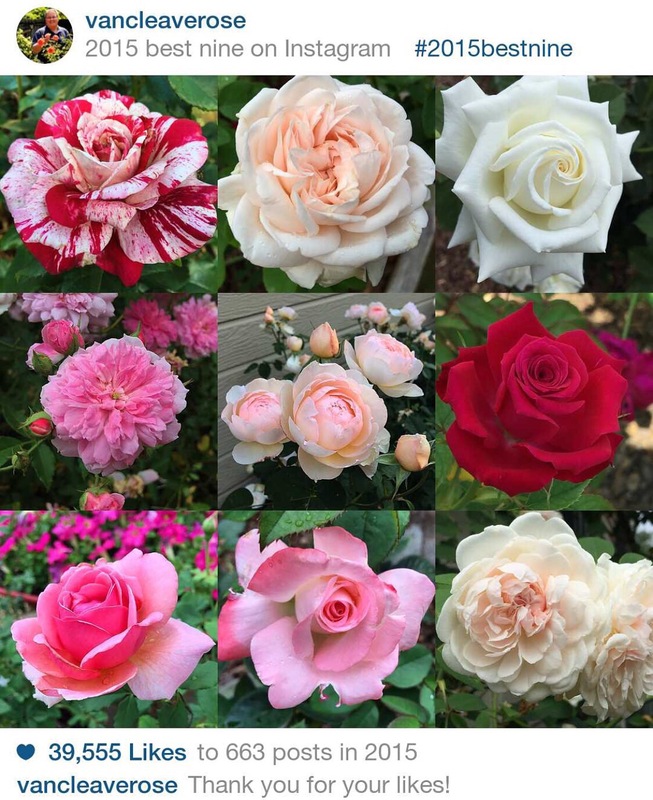 Do you know someone who is interested in knowing more about roses? 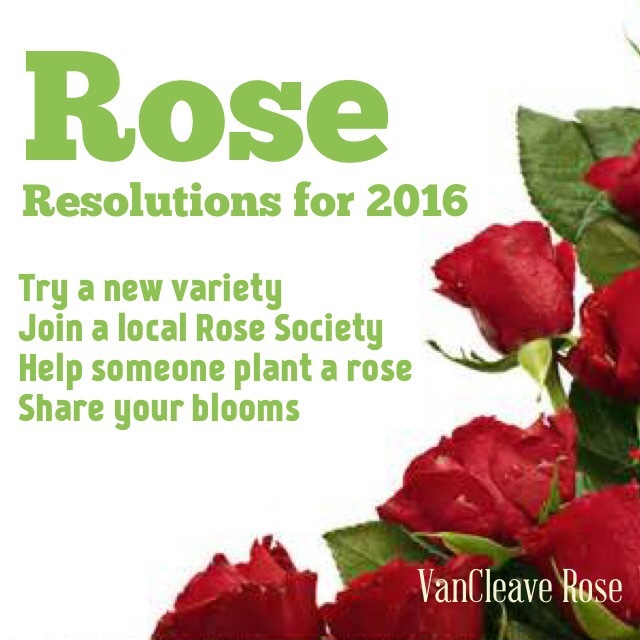 Now is a great time to give them a trial membership to the American Rose Society. You’ll receive discounts at public gardens, copies of their award winning magazine, American Rose plus a ton of other benefits. For only $10, its a great way to tell a rose lover you love them! 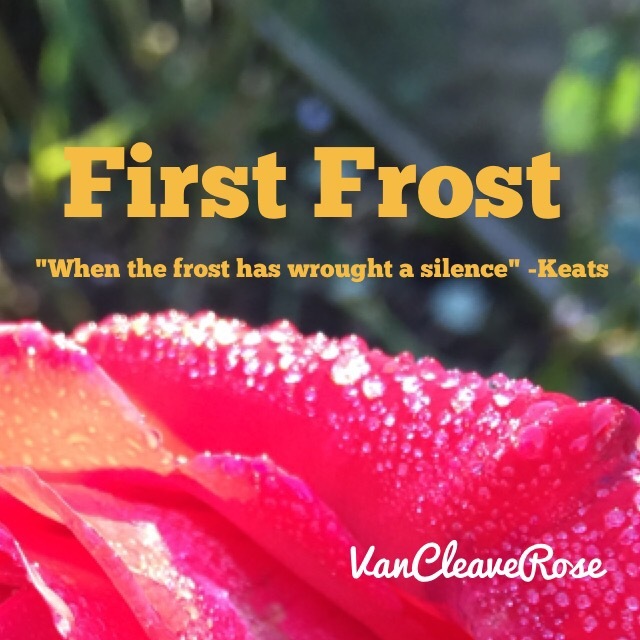 The first frost of the season arrived this morning and brought with it an eerie silence in the garden. 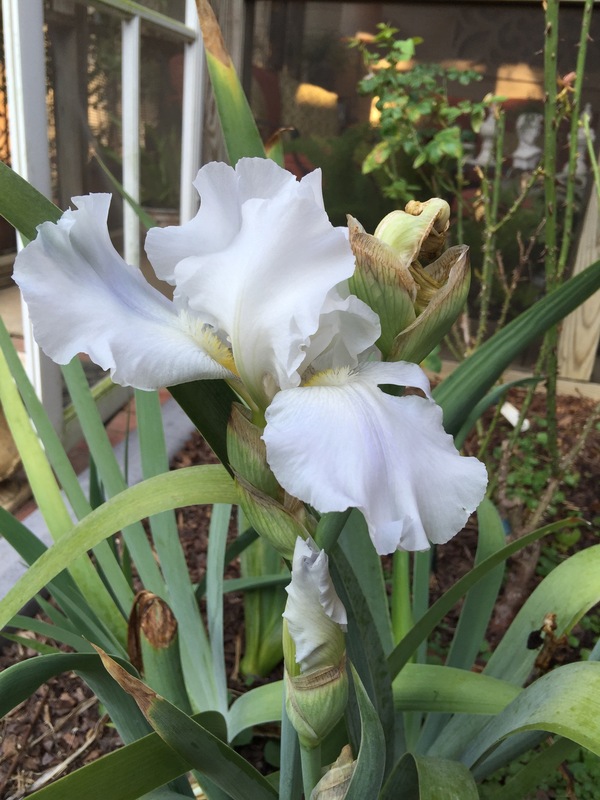 It’s always a little sad to see the end of the bloom season arrive, yet a period of dormancy is a necessary component in the lifecycle of a garden. Now begins a period of contemplation and planning for the next season of blooms. I’ve already ordered several new climbers and am making plans to clear out a spot to relocate some of our roses and reconfigure the layout a bit in the hopes of adding a few more roses to our tiny garden. It’s November and the final blooms of the season are singing their swan song in our Alabama rose garden. If you haven’t had a tetanus shot in the last ten years, now is a great time to get one and is a MUST for gardeners. Your tools have worked hard this year, give them a good cleaning before storing for the winter. Continue to water about every 10 days until first frost. Clearing your beds of fallen debris will help keep disease away! Enjoy the final blooms of the year! This year has been a whirlwind! Our Rednecks & Roses speaking tour has been a rousing success, but also a tiring one. My blog posts have suffered, but I am alive and well, traveling along the highways and hedgerows talking to anyone who’ll listen about growing roses. We are winging our way to Syracuse New York this weekend to take part in the biggest rose party of the year! The American Rose Societies Fall National Rose Show and Convention. Sponsored by the Syracuse Rose Society, its sure to be a memorable event. A full line up of speakers from around the globe will be on hand to enlighten and inspire. We’ll also see rose entries from around the U.S as the nations top rose exhibitors bring their best blooms to the show to be judged. The new president of the American Rose Society will take the oath of office and we’ll have a lot of fun in between. 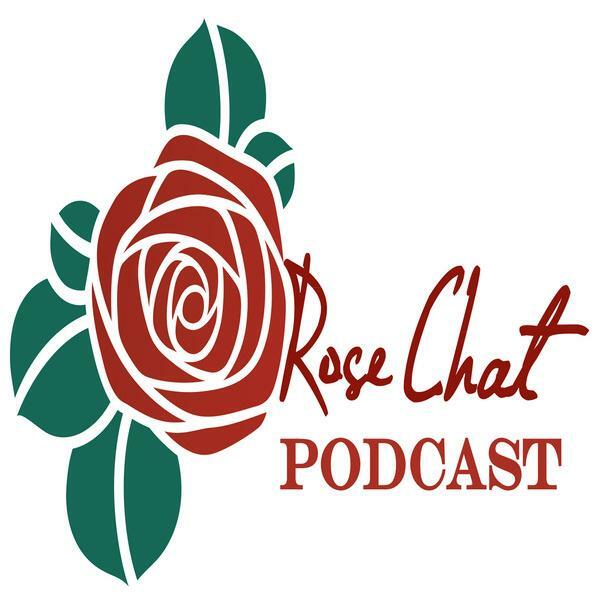 The Rose Chat Podcast team will be on hand to record the event as only we can. Hope you’ll follow along and join us on Social Media. Just post a picture on Instagram or Twitter using the #RoseChat, #ItsARoseThing or #ARSCon2015 hashtags and we’ll feature you on our giant social media wall at the convention. Stay tuned for highlights next week!